Let us put the finishing touches to your perfect present, by selecting the Gift Box option in your shopping basket. 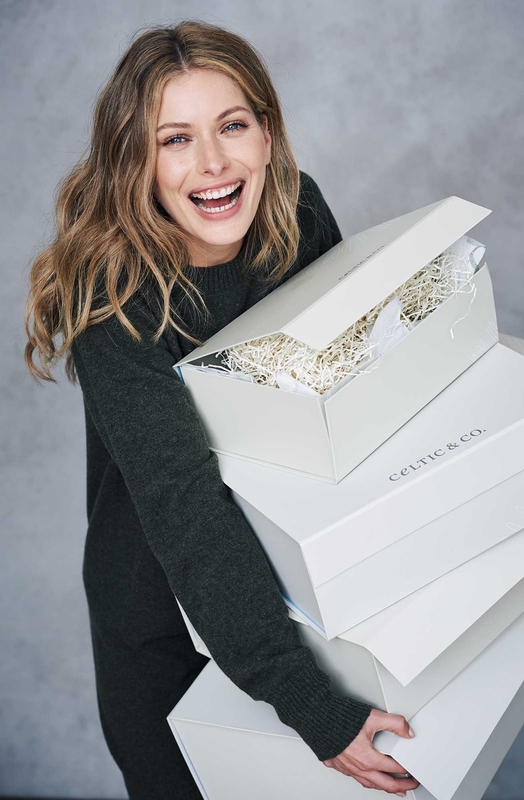 Products are lovingly wrapped in tissue paper and boxed in our special Celtic & Co. gift boxes to make the surprise extra special. Don’t forget to include a personalised message card to share your thoughtful wishes. Gift Boxing costs £5.95 per item and please note, our gift box service is non-refundable, non-returnable and is not available for beanbags or extra-large rugs. If a product is unavailable for gift boxing this will be stated in its product description. If you're unsure on what to choose, gift vouchers are a great idea, they can be purchased in multiples of £5, £10, £20 and £50 and are supplied in an envelope, together with a Celtic catalogue. Gift vouchers are redeemable online, over the phone or in our Newquay shop. Click here to buy. If you’ve been lucky enough to receive some Celtic & Co. gift vouchers and can’t wait to start shopping, then do remember to include the long number on the back of the voucher when prompted. If you would prefer to place your order with an advisor, you can do this over the phone by calling: 0844 557 8877 or in our Cornwall shop. Please note that gift vouchers will have an expiration date of 12 months from purchase.